HE is indisputably the most famous Spanish-language author of all time. In many ways he was a Spanish Shakespeare, a literary pioneer whose influence can be found in all who followed after him. 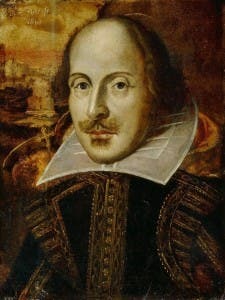 Although the Bard of England, who coincidentally died one day later the same year, 1616, had an easier life. 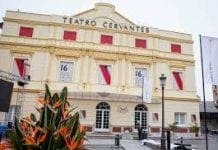 But how much does the average 21st century citizen know about Miguel de Cervantes, a man whose name adorns streets, theatres and the network of state-funded Spanish language schools? Despite three years at the University of Bristol studying literature, I’m shame-faced to admit I’ve never read Don Quixote. Except that’s not entirely true; I read the first 100 pages and gave up. And I bet if you ask the next person they’ll have done the same. Let’s face it, Cervantes’ 1603 classic is no short story. It’s a literary pilgrimage of Santiago de Compostela proportions, a weighty tome requiring many solitary evenings and three times as many glasses of whiskey to navigate. But that’s the mistake we make these days. Cervantes was about so much more than a crazy guy tilting at windmills. Yes, Don Quixote was the first real ‘literary classic’. Yes, it has been translated into myriad different languages. Yes, it has inspired generations of writers. And no: it wasn’t Cervantes’ only work. 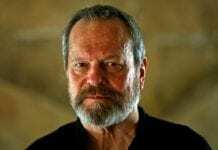 In fact, he was 56 when he published the first part of Don Quixote. Before that, he lived an extremely tough and varied life in 16th-century Spain; a life that shaped this nation’s literary canon forever that begs to be remembered, explored and cherished. The year was 1547 (according to historians) when Leonor de Cortinas gave birth to a baby boy in Alcala de Henares. The boy’s father, Rodrigo, was a barber-surgeon from Cordoba whose job entailed setting bones and bloodletting. Theirs was far from a match made in heaven although they managed to have seven children. Leonor was the daughter of a nobleman fallen on hard times who sold her into the marriage. Rodrigo was partial to the odd extra-marital fling. Together this large family travelled from town to town in search of prosperity. Spain and Europe weren’t sitting still either. King Philip II of Spain’s wife, Mary I of England, had died, making way for an unpredictable protestant queen called Elizabeth I. The hitherto warm relations between the two countries quickly cooled and they became more awkward around each other than Cervantes’ parents. 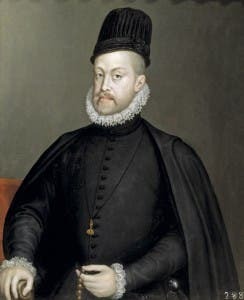 After a brief stint studying with Jesuits in Sevilla, Cervantes showed his first signs of literary flare by contributing poems to a volume in memory of Queen Isabel de Valois, who died in 1568. Two years later, like many other young men in 16th century Spain, he upped sticks to Italy’s illustrious capital city, Rome. Whether it was an escape, a search for enlightenment or the equivalent of a gap year is unclear. 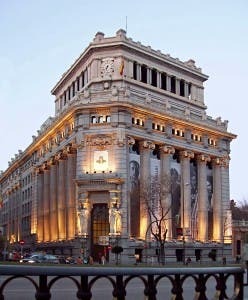 But in the city built by the Romans Cervantes saw the Renaissance flourishing through art, architecture and literature, a period scholars have regularly found allusions to in his works. Spain was busy colonising the New World and waging wars in Europe and in 1570, being young and thirsty for adventure, Cervantes decided to enlist. He was quickly sent into battle against the Ottoman empire off the coast of Greece and, while aboard the Marquesa, was wounded twice in the chest and once in the arm. After recovering on Sicily, he returned for second helpings and made a much better success of it, obtaining leave to sail back to Spain to receive a promotion from the king in September 1575. Except it didn’t quite go to plan. His ship, Sol, was boarded by Algerian pirates off the Catalan coast and Cervantes and the surviving crew members were imprisoned in Algiers for five years. This period of captivity molded him into the unbreakably courageous man he became. He led many escape attempts but only gained his freedom when Christian merchants stumped up the ransom money. Before he left for Madrid he penned an ‘Informacion’ about his jail time, an event that provided him with subject matter for many future works including the captive’s tale in Don Quixote. You couldn’t really call writing a ‘career’ in these dark, pre-Penguin paperback days. It had to be combined with work that paid the bills. Cervantes became a purchasing agent for the Spanish Navy in Andalucia, a tax collector for the crown and also worked as a banker. His first published book, La Galatea, was released in 1585, and in the years that followed he penned many plays and short stories. He also married a girl from Toledo young enough to be his daughter whose uncle is said to have inspired Don Quixote. applied (unsuccessfully) for the job of accountant in the New World port of Cartagena in Chile. He was in and out of debtors prison over the next seven years as a result of bad financial deals, only completing Don Quixote thanks to a small pension. Despite his lack of funds and age – 65 – this was the richest writing period of his life. 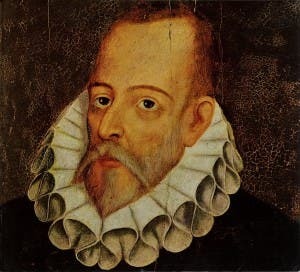 He created the blueprint for short story-writing with his novelas ejemplares, also producing countless exquisite plays, poems and the second part to Don Quixote. He allegedly died of Type 2 Diabetes on April 22 1616 (Shakespeare died on April 23), leaving behind an enduring legacy to rival his English contemporary. Unlike Shakespeare, Cervantes was never particularly famous during his life. Incredibly, until 2010 no one knew where he was buried and there’s still some doubt. SINCE 2010, archaeologists in Madrid have been determined to find the body of Cervantes, principly to ascertain how their national hero died. Last year, the search bore fruit when the bones of what is believed to be Cervantes were exhumed from the Church of the Trinity, along with 16 other skeletons. DNA can’t help as Cervantes lineage could not be traced but the circumstantial evidence was strong. The remains were reburied and marked with a monument although more tests are currently being planned. CERVANTES’ seminal work, Don Quixote, is regularly included on lists of all-time great literary works. 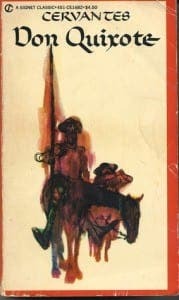 Published in two volumes in 1605 and 1615, the narrative follows the adventures of Alonso Quixano who reads so many tales of chivalry that he loses his sanity and sets out to revive the romance, right wrongs and bring justice to the world, under the name Don Quixote de la Mancha.